SKOPELOS. 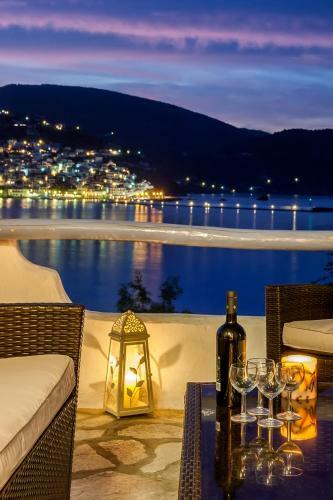 Skopelos is a Greek island in the northwest of the Aegean Sea. 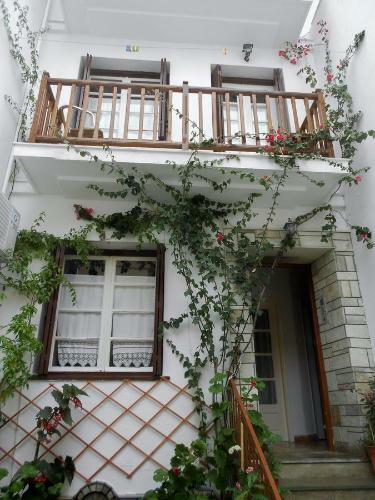 It lies between the islands of Skiathos and Alonissos, not far from the coast of Pelion which is situated on mainland Greece. 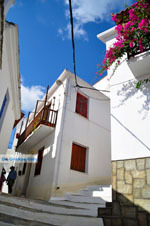 The capital of the island is Skopelos town. 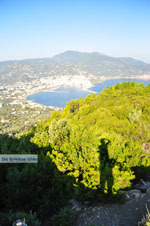 Skopelos island is about a 100 sq.km.the length of the coastline is 70 kilometres. 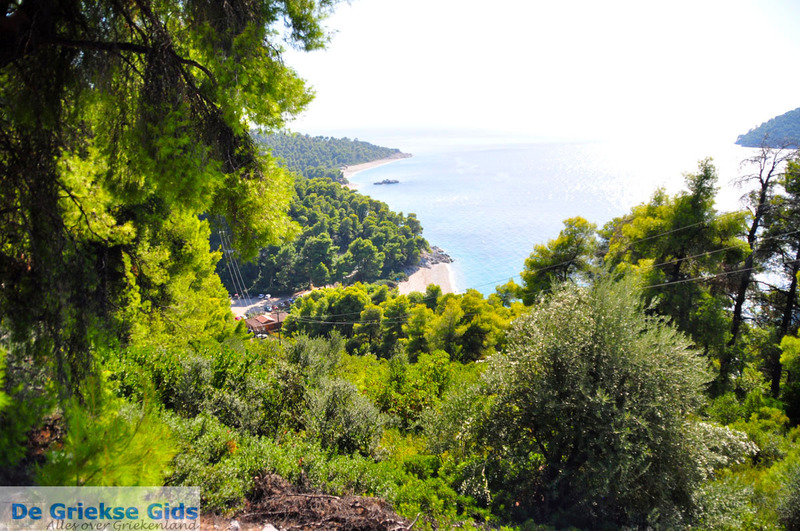 The most striking aspect of this island are the approximately eight million pine trees that are present here. The tree which grows in abundance here, is a type of pine tree that easily multiplies itself, the seeds are dispersed by the wind and dense forests are created. 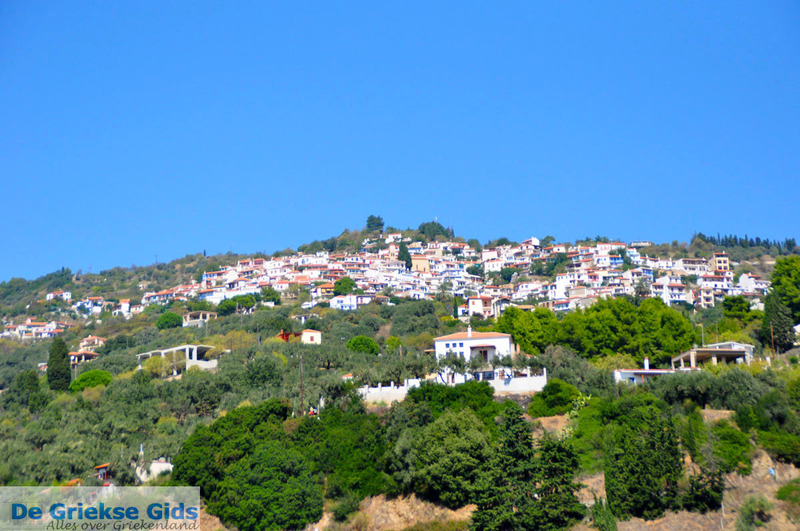 On the island are dozens of mountains 300 to 600 meters high. 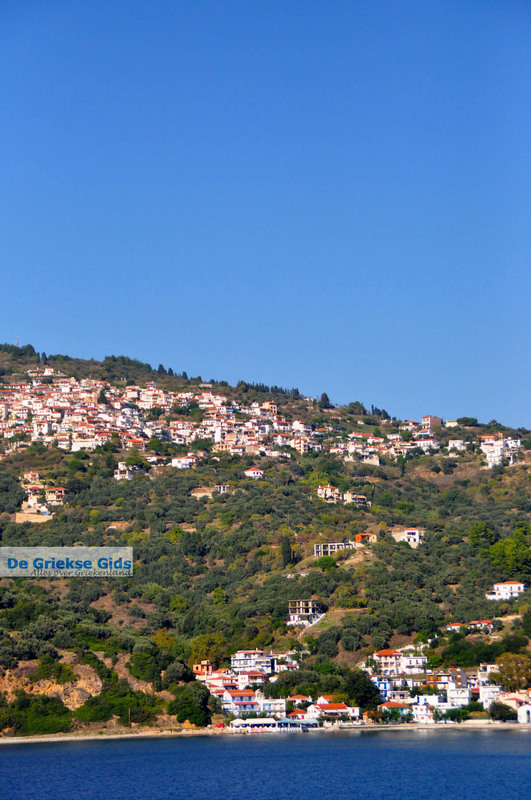 The highest mountain is Mount Delfi, which is 620 meters high. 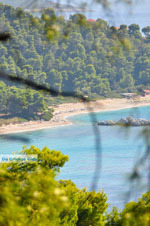 Skopelos has many beaches especially smaller ones, sandy and pebble. Some beaches are accessible by car, other beaches not, this has to do with the hilly, sometimes steep relief of the coastline. 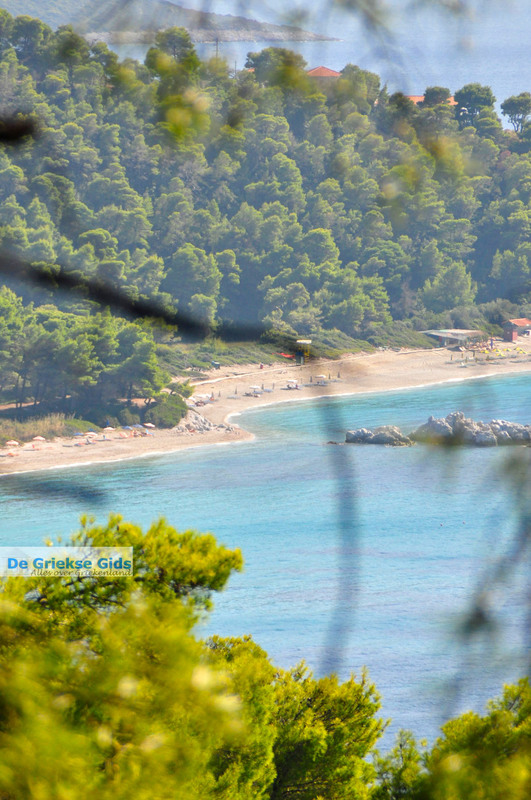 If you sail with a boat around Skopelos, you will see many small beaches,often only reachable with a hired boat or on foot. 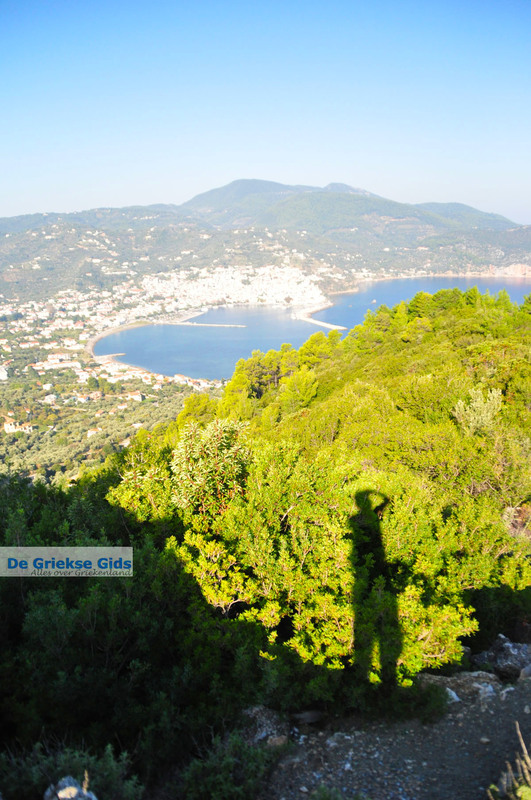 The island is also known for its many hiking trails, many tourists who regularly come back to Skopelos, come just for walking and enjoying the beautiful nature. 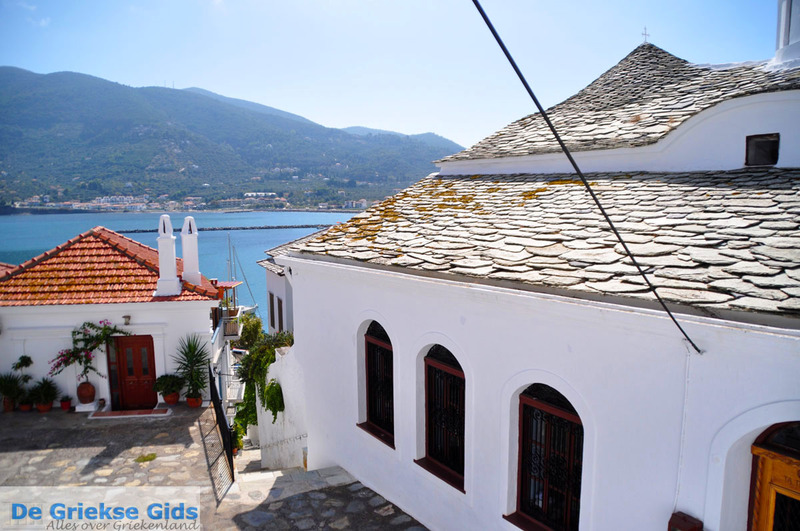 Another phenomenon on Skopelos are the many churches and monasteries. 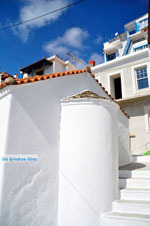 It is estimated, there are three hundred eighty churches on the island. 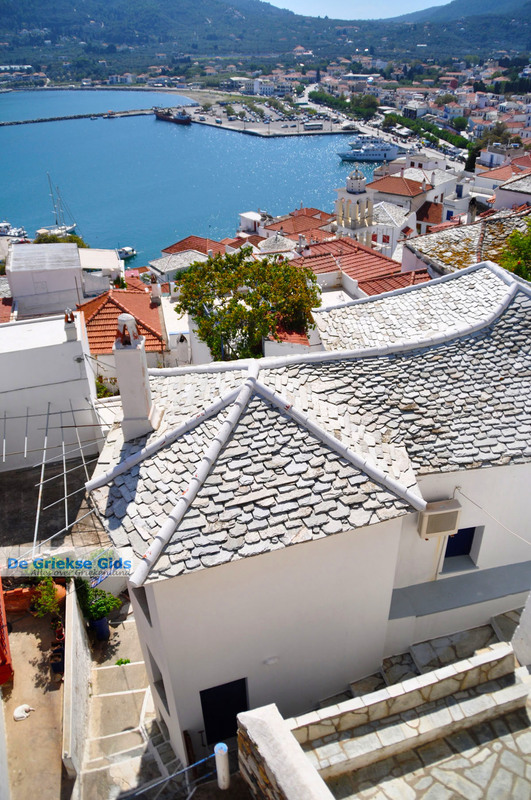 The capital of Skopelos town, also called Chora.It is a beautiful traditional town with lovely houses, narrow streets and more than a hundred small churches. 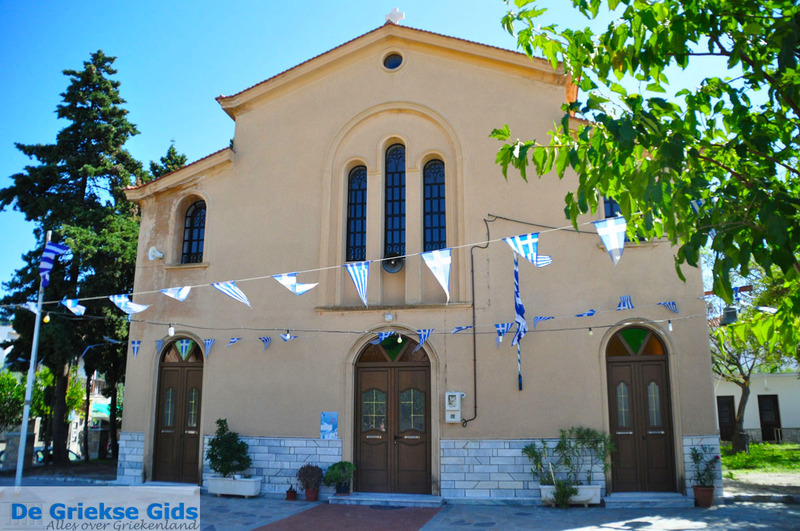 Agios Ioannis Kastri, the church made ​​famous by the filming of the movie "Mamma Mia". Palio Klima (Old Klima), a village almost completely abandoned, after a major earthquake in 1965 but is again restored in the original style and in the summer comes to life. 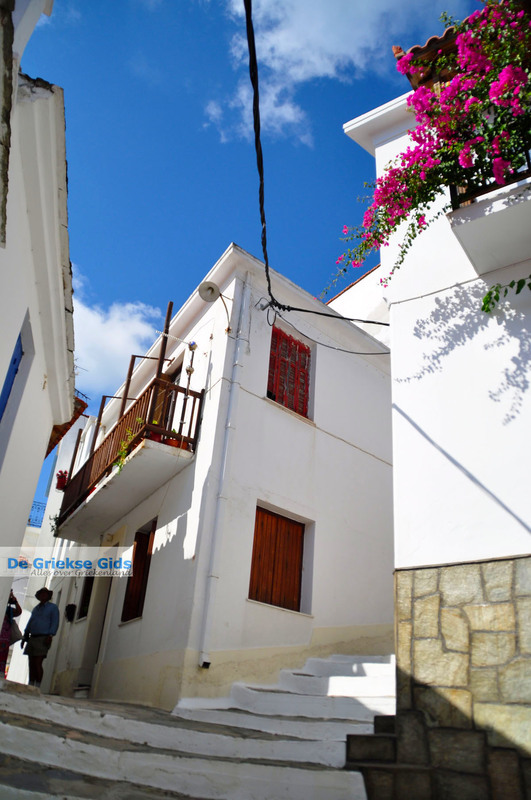 Glossa, the second, main town of Skopelos (with harbour). 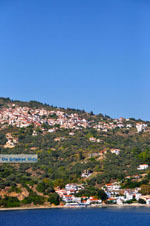 Panormos with its distinctive fjord. The many monasteries scattered around the island. These may be visited by tourists, but beware, at noon they are usually closed. 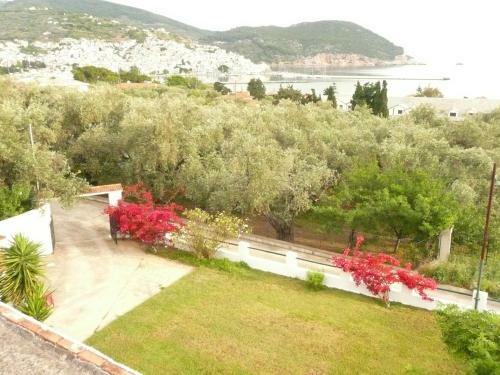 The beautiful wooded countryside of Skopelos. 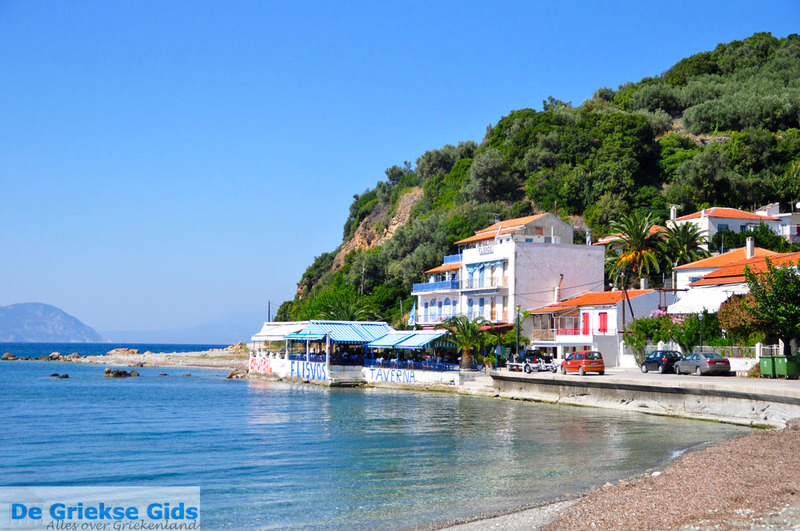 Skopelos has many beautiful sandy and pebble beaches. 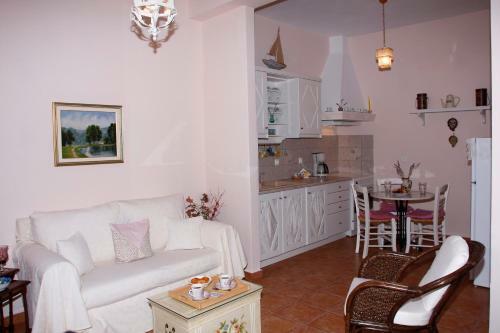 The best known beaches are those of Stafylos, Kastani, Milia, Hovolo at Klima Elios and Agnontas. Many beaches are not accessible by car, but on foot or by boat. 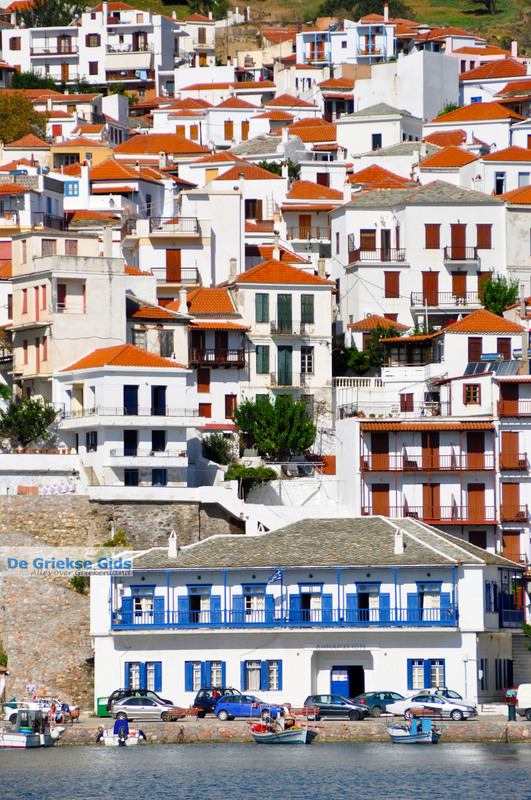 Skopelos has no airport and is only accessible by boat. 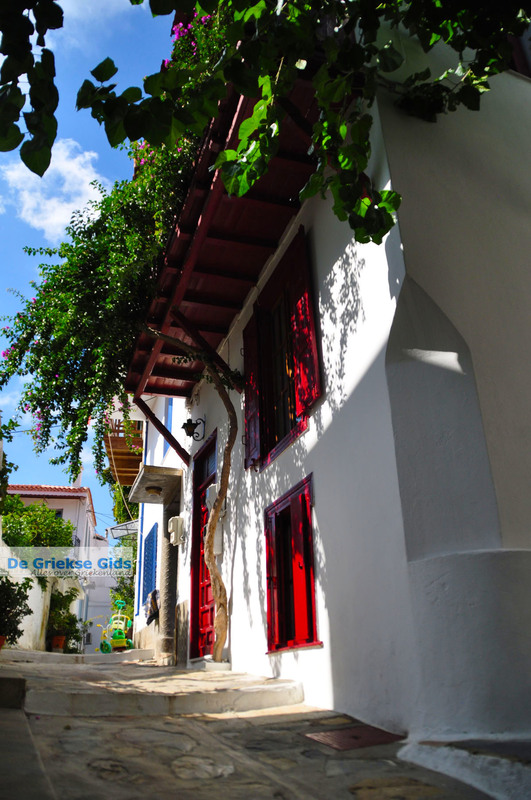 Most tourists arrive from the island of Skiathos, in Skiathos is an international airport. 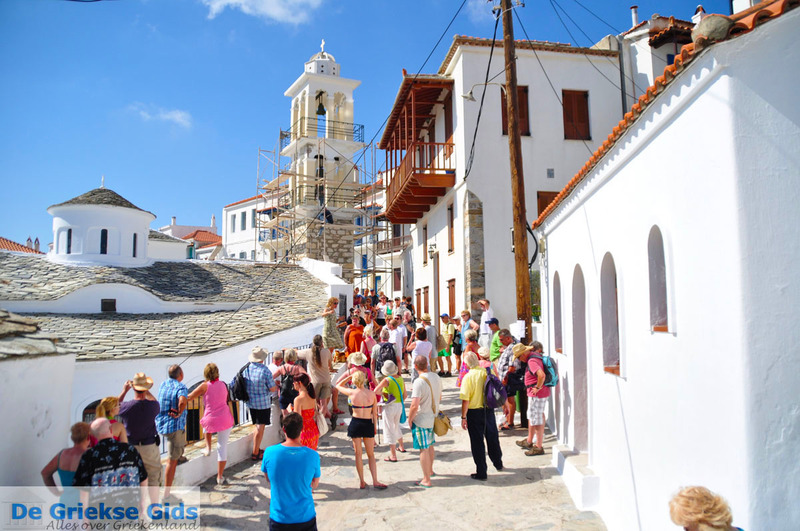 A boat trip from Skiathos town to Skopelos town takes about one hour. 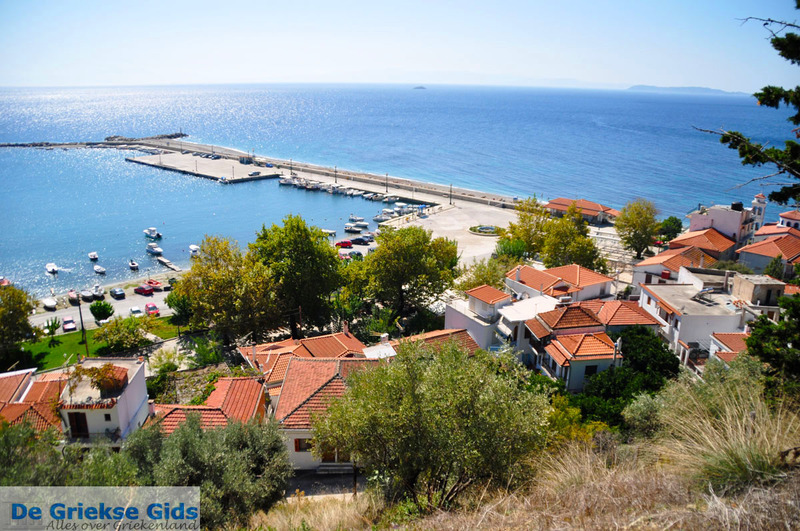 Others fly to the city of Volos, from the port of Volos there is a ferry twice a day to Skopelos and the other Sporades. 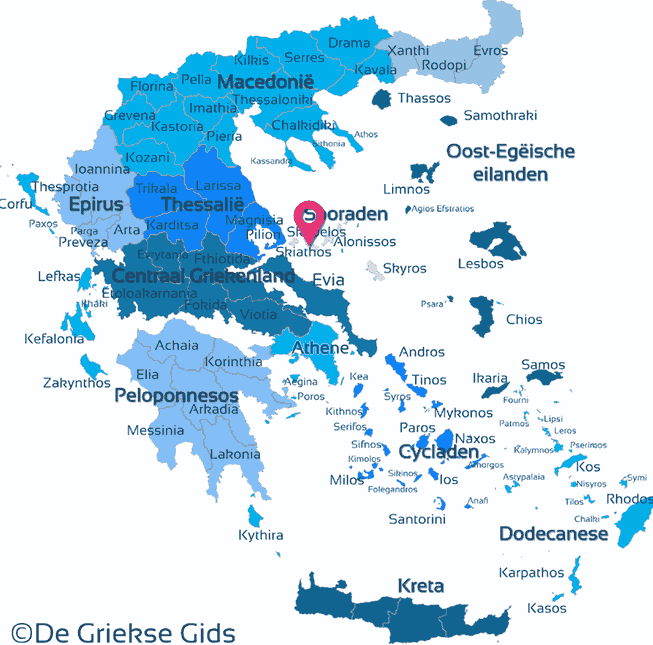 Skopelos is connected by ferry with the ports of Agios Konstantinos (Greek mainland), Volos, Skiathos, Alonissos and Skyros. Skopelos: Where on the map is Skopelos located?